As much as pregnancy is beautiful, you can’t escape the cons of constant discomfort and aches everywhere. But, mamas don’t fret! Coming to you are the best maternity leggings to ease your pregnancy without losing your sense of fashion style. Maternity clothes haven’t had the best reputation for being pretty and comfortable. Then, leggings showed up. Pregnant or not, women are generally unable to resist leggings for their versatility and comfort. In aid of your pregnancy and post-pregnancy woes, these maternity leggings will be the second best gift next to your newborn. As the best overall maternity leggings, Kindred Bravely’s The Louisa Ultra High-Waisted Over the Bump Maternity/Pregnancy Leggings could assist you from pregnancy to the breastfeeding stage with ease and comfort. With thick, opaque, soft and luxurious fabric they can cover you up entirely. This pair can handle your fluctuating weight, growing baby bump, loose excess skin after birth, and hide stretch marks. They don’t joke around. Their high-rise waistline offers dual-purpose support. While your baby bump is growing, the fabric goes over the bump to offer contoured support. It can be folded over for an alternative belly support. After the baby comes out, you can still use this while nursing to keep your stretched skin in check and your breastfeeding sessions discreet. PattyBoutik Mama Shaping Series’ Maternity Legging Yoga Pants deserves an award for an incredible design that helps support growing mamas. This pair eases the heavy weight you’re carrying through 3D cutting throughout the belly, hips, and legs. Without compressing any pressure points, the panels created by the cuts divide the weight of your stomach in equal amounts on the fabric. This lessens your burden. The V-shaped waistline at the back also provides a pulling effect when bending. As a result, it gives additional support to your belly and reduces pressure on your lower back. 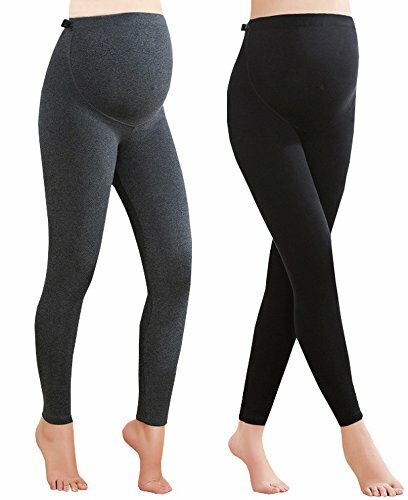 Super stretchy and thick, these leggings can aid you from 3 months pregnant to the breastfeeding stage. Don’t be mistaken that pregnancy could correct your posture. Even though baby bumps make you push back your shoulders and straighten up your spine, you can still lean back to an incorrect angle that puts pressure on the middle of your back. That’s one particular thing the HyBrid & Company Women's Super Comfy Maternity Leggings is good at targeting. The seamless leggings are equipped to provide back support, including posture-correcting capabilities. That alone could be enough of a bargain. In addition, these affordable leggings have a flexible fit and unconventional fashionability. You’re left with only one decision...what prints to get. The loud colors are sure to turn heads—mostly those of other mothers curious of your maternity style. There will come a point when the only pants you’ll be able to wear are yoga pants. It’s not a problem with Motherhood Maternity Women's Maternity Full Length French Terry Secret Fit Belly Leggings that’s fit for all your casual day outfits. It’s great for layering under loose shirts, tank tops, long blouses, and dresses. The Secret Fit Belly is patented to Motherhood. It’s unique for its seamless stretch panel that expands along with your belly as it grows. The French terry fabric is like the jersey when it comes to comfort. It allows you to wear theses leggings all day without any displeasure. Back pockets mimic those in jeans, so you can use this as alternative while you can’t wear denim. 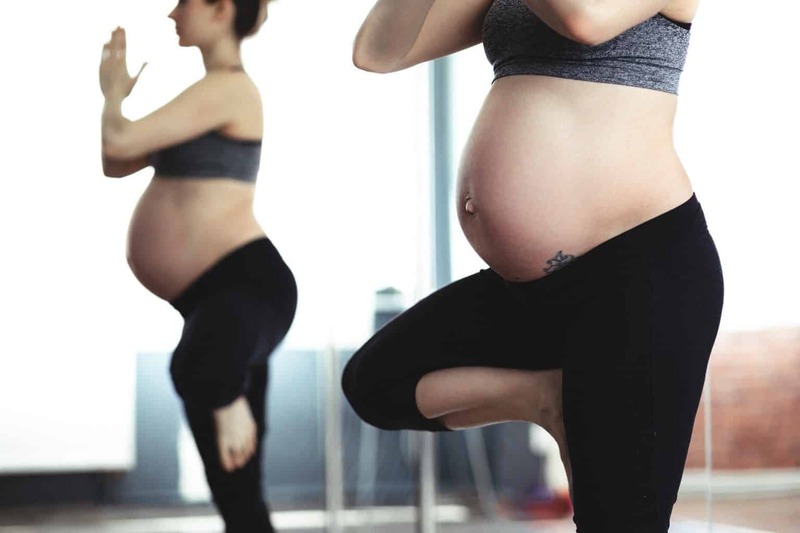 Specifically intended for active pregnant women, Foucome’s Over The Belly Super Soft Support Maternity Leggings protects and supports mothers-to-be who maintain a fitness lifestyle. The high-rise waistline is equipped with a full panel that covers and lifts your belly. Around the back, a built-in multi-buttonhole maternity belt elastic enables adjustability to accommodate your growing size. The stretch fabric is infused with extra spandex. This increases flexibility and adds moisture-wicking properties for when you’re sweating or exercising. However, breathability is not a compromised feature as the fabric allows proper air circulation. The seamless construction eases it for your hips, abdomen, and even back muscles. You may be able to last longer at the gym. Pregnancy could be a fun journey with less discomfort when you know how to choose clothes that equally prioritize comfort and style. Don’t brush off all maternity clothes. Let these leggings be an exception and grow not only your baby bump, but also an enviable maternity wardrobe.